Sewing seems to be going out of style and it is harder for people to find help repairing items that are dear to them. 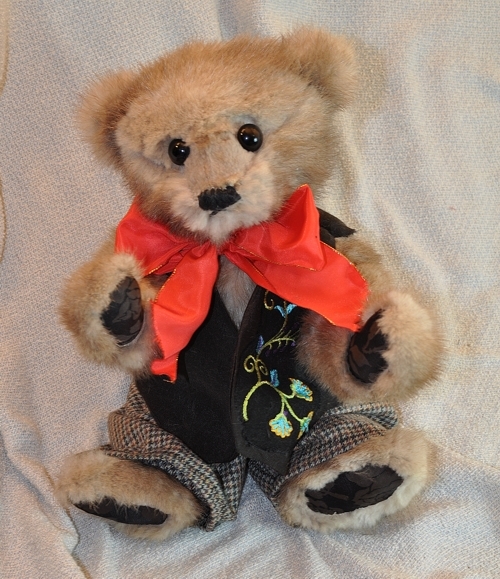 Over the years, people have contacted me and asked if I could repair a ripped arm of their bear or fabric doll or take care of a tear in a treasured garment. 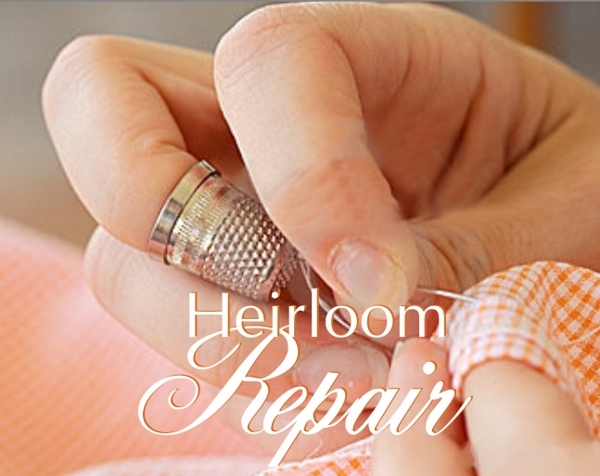 So, on an individual project basis, I offer heirloom repair services. If you have an item that needs repair, please contact me via email or phone. It helps if you have a picture of the item and the damaged area so I can get an idea of what it will take to repair it. If you emailed me and don’t receive a response within 24 hours, it means I either didn’t get your email, or my response did not make it to you. So far, I have been able to repair all of the bears and soft toys that people have sent me. It helps if you have a picture of the soft toy so I can see the damage. If I don’t believe it can be repaired, I will let you know. I, unfortunately, am not a Doll Hospital in the sense that I can only repair FABRIC based problems. 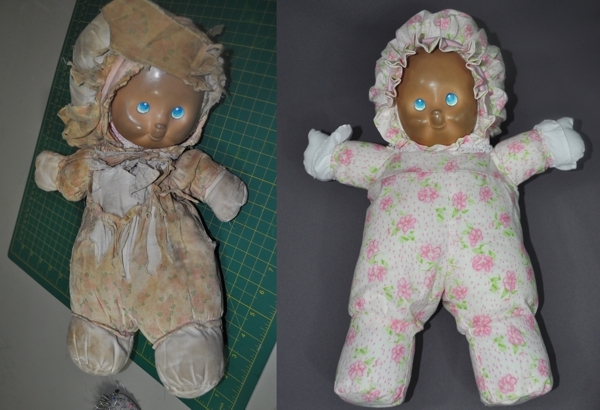 I have had several baby dolls with plastic or composite heads but fabric bodies that had tears or problems. Those I can repair quite easily. However, I don’t do non-fabric repairs. If you have a unique sewing need, I may be able to help out whether it is repairing a treasured family heirloom or creating an accessory to go with an existing heirloom outfit. I have worked on a number of different projects but never thought to take pictures because they were mostly repairs or alterations so this section of my web site is a work in progress but here are some recent projects. Some of you may remember that, about two years ago, I worked on an heirloom repair project for a Melissa Holden’s son’s beloved stuffed toy. He calls the toy Fur Baby and it came to me in a kind of unrecognizable form. It took some work, but I was able to take Fur Baby apart and figure out the original form to make a pattern and Fur Baby was renewed. Well, Mellissa recently re-contacted me because tragedy had struck. The family dog had gotten hold of Fur Baby and made it a chew toy. So, once again, Fur Baby needed to be rebuilt. Introducing Fur Baby 3.0. John brought his wife’s childhood stuffed dog bed sitter to me. His wife had thrown it away but he wanted to see if it could be brought back to life because it was from when she was just a child. I un-stuffed it and took the bottom off. Then washed it five times and let it hang dry. Once dried, I traced the bottom panel on to some doe sued of the same color as the original fabric and cut a new bottom. I mixed some of the old stuffing with some new, more durable fibers and re-stuffed him. Then he got a solid brushing and some of his old glow came back to life. Meredith Upshaw sent her husband’s Christmas Stocking to see if it could be refurbished. The stocking was in good shape, the primary issue was that there was some red velvet ribbon around the outer edges that was crumbling and ripping with age. I pulled the stocking apart and removed the old ribbon. That ribbon was replaced with real velvet. The pompoms were freshened up and re-trimmed and I edge-stitched the letters to keep them from fraying. The before and after pictures aren’t dramatic, but Brandon’s stocking will last a good long time now. If you look hard, you can see that the ribbon around the edge was splitting. On the left side, it was also never really attached straight. Joan Lombard sent her son’s 60-year-old teddy bear to have it refurbished for her great grandson who is scheduled to enter the world this month. 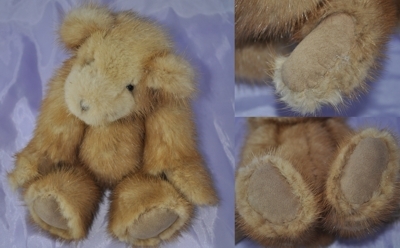 Although we aren’t a doll or bear hospital, sometimes I will do a repair or refurbishing of an old bear or cloth doll. I won’t work with collector dolls and bears because what I do can hurt their value. I work with dolls and bears meant to be played with and kept in the family. Kitty sent her daughter’s doll “Gina” to me asking if I could repair her fabric body and give her a new outfit. This turned out to be quite a challenge. Poor Gina was well loved and there were so many tears in her that It was difficult to tell exactly what some areas originally looked like. I’m not a doll hospital, but I can re-create cloth doll bodies and clothing. I took a lot of pre-pictures before slowly taking each piece apart and creating a pattern from it. I’m pretty confident that the overall body and outfit were accurate to what the doll originally looked like. Gina’s face has gotten a nice tan over time. That is simply the way this type of plastic reacts to the oils in our hands over time, it turns the plastic itself dark. I don’t know of any way to bleach the plastic back to its original color. Marjorie’s My Twin doll had a bad tear across the lower body. The tear had been repaired, but looked horrible. She contacted the My Twin doll hospital to find out if they could repair or replace the body. Unfortunately, the doll body style had changed since her version and they no longer offered the older version. They gave Marjorie my website information and she contacted me. I used the old doll body as a pattern to make a complete new body for her doll. Liane, thank you so much for making adn replacing the body on my My Twinn doll. You did a marvelous job and she is now a keepsake worth keeping. 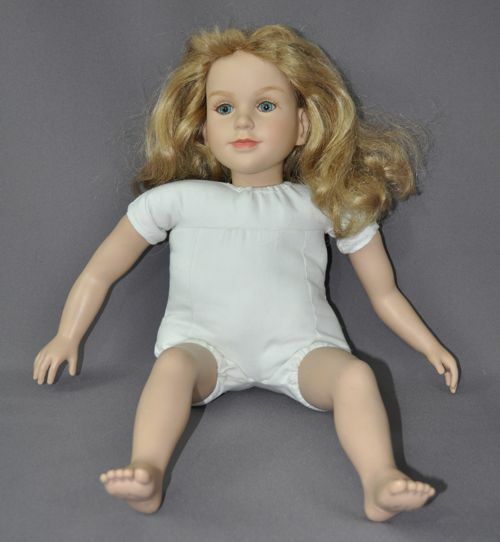 Jennie sent me her daughter’s beloved doll, Melissa, to see if I could repair her arm. Although I’m not a doll hospital, I can do repairs on cloth-based doll parts. In this case, the original joint of the arm had sheared off so I opened up a seam in the doll body and doll arm, removed the old joint pieces and replaced the joint. I also tried to clean the doll a bit. Unfortunately, Melissa had a lot of permanent marker on her so she didn’t clean up as nicely as I would have liked to have gotten her. However, a pretty new dress helped. Bonnie sent me a little mink bear that her dog had gotten hold of.One paw and a foot were both pretty chewed up so I ended up replacing all of the paw and foot pads. He was sent home looking good as new. Hi, Liane! My repaired bear arrived in Florida today, and I am THRILLED with the end result! Thank you so very much for all your efforts – he will, I can promise, no longer be a chew toy!! Your efforts of wonderful repair are so appreciated, and I will be the first to recommend you to ANYONE, should the need arise. Kathy sent me a fur bear that had been given to her by a past boyfriend. Her dog had gotten hold of the bear and ripped up the back and most of one leg and she was hoping she could get it repaired to pass on to the past boyfriend’s newborn child. Unfortunately, I did not think to take before pictures but the repair was rather extensive. 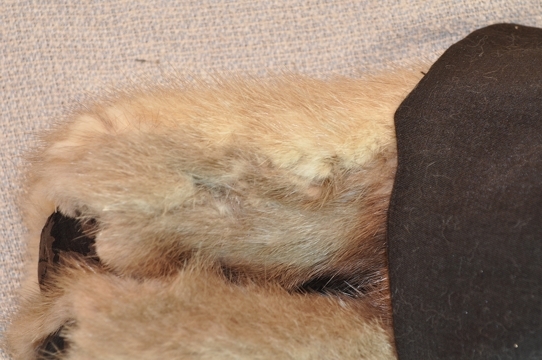 I was able to patch the back using the bits of fur she had rescued but there wasn’t enough bits to repair the leg with. One leg needed to be rebuilt so I used a piece of fur from my scraps that came closest to the color of the bear and integrated the new pieces with the old and rebuilt the leg. I suggested making a little outfit for the bear to protect the repaired areas over time. Robin sent me her grandmother’s fur stole and asked me to create a fur collar for her leather coat. Grace sent me her grandmother’s fur stole and asked me to make a bear for her daughter and a purse for herself. 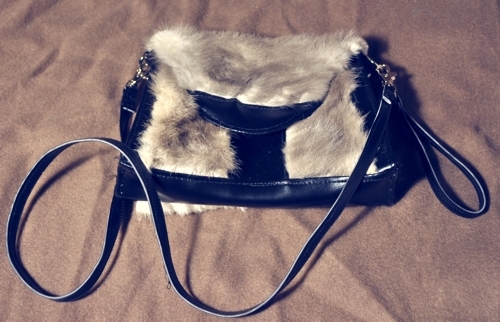 A purse made solidly of fur is not only bulky, but it really isn’t very sturdy so I used faux leather for the overall construction–so that the primary stress areas were of the leather–and the fur is more decorative on the sides and flap. I had no idea of the task I asked of you regarding the purse. You certainly went the extra yard, using your leather pieces and you did a wonderful job.